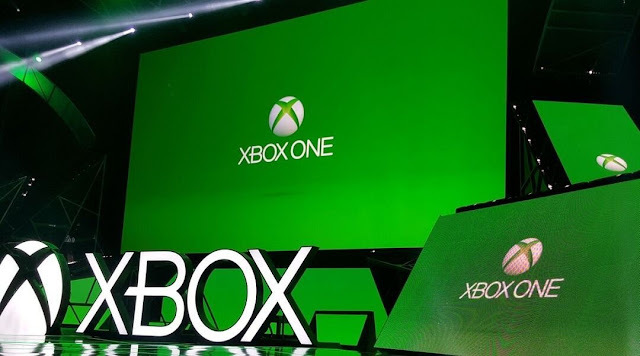 Xbox came out with a bang showing tons of gameplay from their upcoming exclusives, new hardware announcements, and much more. Check out every trailer from their E3 2016 press conference right here. Crush the competition with the Xbox Elite Wireless Controller - Gears of War 4 Limited Edition, featuring a gritty, battle-weathered design, an arsenal of swappable components, Hair Trigger Locks, an exclusive in-game item, and three Gear Packs. Merciless. Fearless. Massive. Cunning. An opponent that all fear to face. Now that feared enemy, General RAAM, has arrived in the Killer Instinct universe. 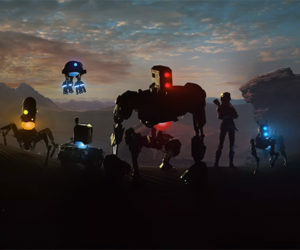 From the legendary creator Keiji Inafune, and the makers of Metroid Prime comes ReCore, an action-adventure crafted for a new generation. Join Joule Adams as she leads a group of Corebot companions on an adventure to save mankind in the dangerous world of Far Eden. Check out the first multiplayer co-op gameplay footage from Scalebound, the next great adventure from critically-acclaimed developer PlatinumGames and renowned game director Hideki Kamiya. SEA OF THIEVES GAMEPLAY REVEAL E3 TRAILER. XBOX ONE & WINDOWS 10 EXCLUSIVE | Be the first to watch fans play Sea of Thieves for the first time. Halo Wars 2 Official E3 Trailer - In Halo Wars 2, the Spirit of Fire and her crew, led by Captain Cutter, face a deadly new faction known as The Banished. Their chief, the Brute warlord Atriox, is both a deadly warrior and brilliant military leader in control of a massive army. The key to victory is knowing your enemy, but Atriox is a threat no one is prepared for. 343 Industries and Creative Assembly bring you the explosive return of real-time strategy to the Halo universe in Halo Wars 2. Build and command powerful armies of vehicles and troops in epic battles on the biggest Halo battlefield ever. Experience an all-new story across 13 action-packed campaign missions. Play with or against friends, or matchmake with the Xbox Live community in a variety of multiplayer modes supporting up to 6 players. Join the Multiplayer Beta 6/13/2016 - 6/20/2016. See what's new from ID@Xbox E32016 - Risk takers, rule breakers, and game changers. Xbox is home to the best, most creative and innovative games coming from Independent gamers. Minecraft Live at E3 2016! Minecraft Realms brings fast and easy cross-device multiplayer to iOS, Android, Windows 10 and Gear VR, powered by Xbox Live! Plus, a sneak peek at the future of modding with Add-Ons, coming this fall. Gears of War 4 - an XBOX ONE & WINDOWS 10 EXCLUSIVE coming October 11, 2016. From the creators of LIMBO, INSIDE is coming to Xbox One on June 29th. Hunted and alone, a boy finds himself drawn into the center of a dark project. Developed by Compulsion Games, “We Happy Few” is coming to Windows 10 and Xbox One this summer. In a dystopian, mod 1964 England that lost World War II, the citizens of Wellington Wells are taking a happy drug called "Joy", and living in denial over their grim existence and a terrible past. Can you survive among them once you stop taking your Joy and become a “Downer"? Immerse yourself in the conflict and witness the final showdown. Who will survive - father or son? There’s only so far down a man can go. Shot in the head and left for dead, Lincoln Clay is Hell-bent on revenge. Now one man will declare war on New Bordeaux’s Italian Mafia, taking it apart piece by crooked piece. Soon Sal Marcano will learn what it feels like to lose everything. Gwent, the hit card game from CD PROJEKT RED’s game of the year -- “The Witcher 3: Wild Hunt” -- is now its own standalone collectable card game. Inspired by player feedback, with new rules and mechanics, Gwent: The Witcher Card Game puts players and their style of play, and not only their cards, in the center of the action. In Gwent: The Witcher Card Game, You are the Wild Card. The most powerful console ever. Holiday 2017.